One could surmise that depression might follow the realization that certain foods are never again going to be eaten. Presumably waking up after surgery and knowing you would never eat chocolate again might put you into a permanent funk. 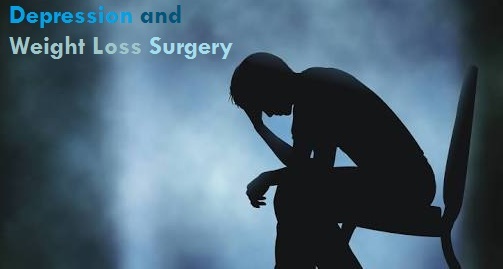 But the depressions reported both in the scientific literature, and in the hundreds of personal anecdotes on gastric surgery blog sites, suggests otherwise. Some have associated depression with the very low-calorie diet followed for several months following the surgery. Studies carried out during and post-World War II on volunteers given a semi-starvation diet similar to those in prisoner of war camps showed significant depression that disappeared when the subjects were given enough food. For some, however, a clinical depression lasts well beyond the first months of very restricted feeding and is resistant to antidepressant therapy. Could the cause be the lack of a specific nutrient in the diet, i.e. carbohydrates? The absence of carbohydrate in the diet invariably alters serotonin levels and that neurotransmitter activity. It is the insulin release after carbohydrates are eaten that indirectly allows more serotonin in the brain to be made. Insulin changes the levels of amino acids in the blood and this enables one amino acid, tryptophan, to enter the brain. Serotonin is made from tryptophan, and thus is dependent on its brain availability.